Venue: KB106, UTAR Sg Long Campus, Bandar Sungai Long, Selangor. So many options! But wait, you ask yourself, “where should I start?”. 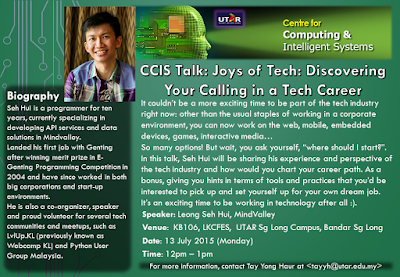 In this talk, Seh Hui will be sharing his experience and perspective of the tech industry and how would you chart your career path. As a bonus, giving you hints in terms of tools and practices that you’d be interested to pick up and set yourself up for your own dream job. It’s an exciting time to be working in technology after all :). Seh Hui is a programmer for ten years, currently specializing in developing API services and data solutions in Mindvalley. 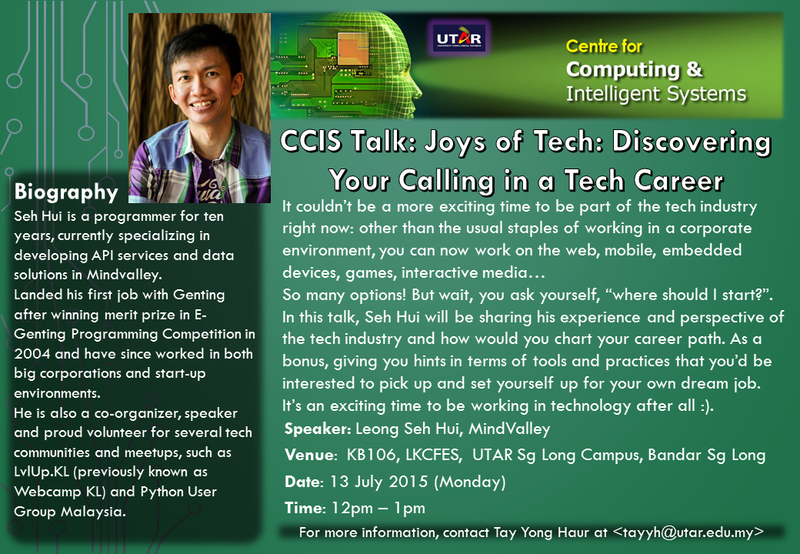 Landed his first job with Genting after winning merit prize in E-Genting Programming Competition in 2004 and have since worked in both big corporations and start-up environments. 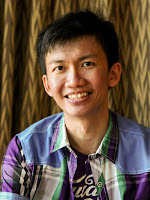 He is also a co-organizer, speaker and proud volunteer for several tech communities and meetups, such as LvlUp.KL (previously known as Webcamp KL) and Python User Group Malaysia.